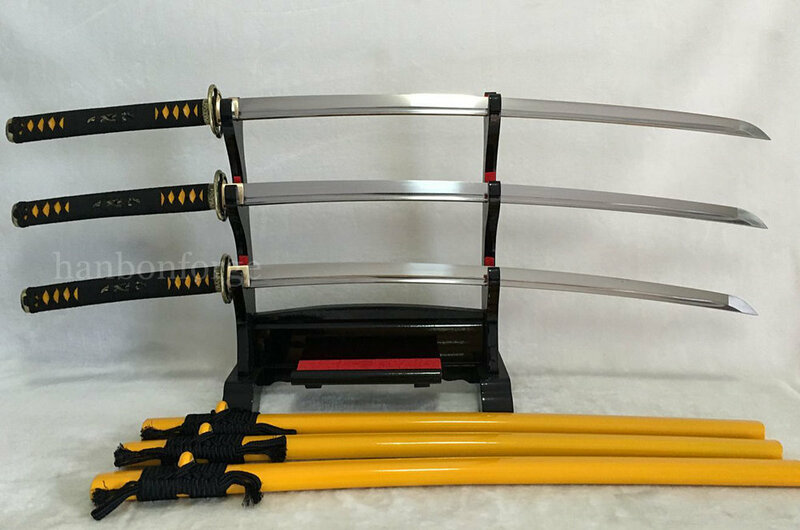 These three katana swords were customized for one customer. 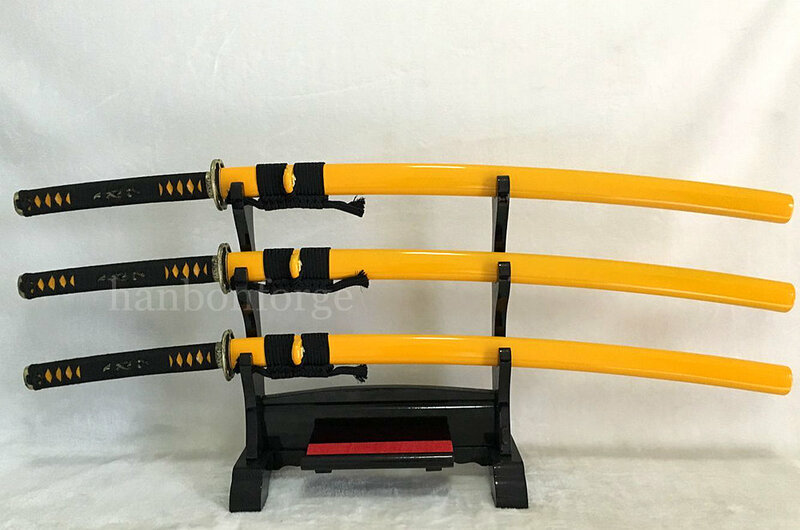 We completed these swords in 10 days. The only difference is that the names which were engraved on habaki are different. 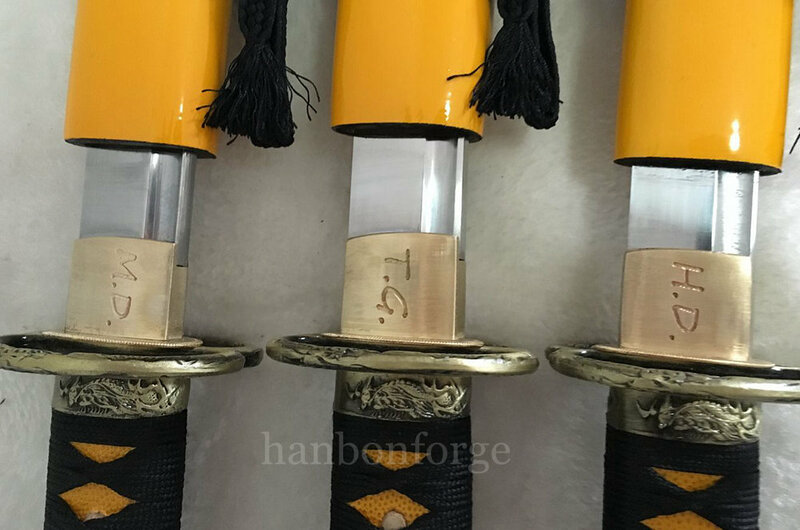 The blades were made of 1095 high carbon steel, the each blade has long HI(blood groove) on each side. The Habaki(blade collar) is a one piece brass construction fitted over a copper Seppa(spacer), another seppa secures the Tsuba(guard) to the Tsuka(handle) of the sword. The Fuchi (sleeve) and Kashira (buttcap) are made of brass. The Tsuka(handle) is wood laid over the full tang of the blade. 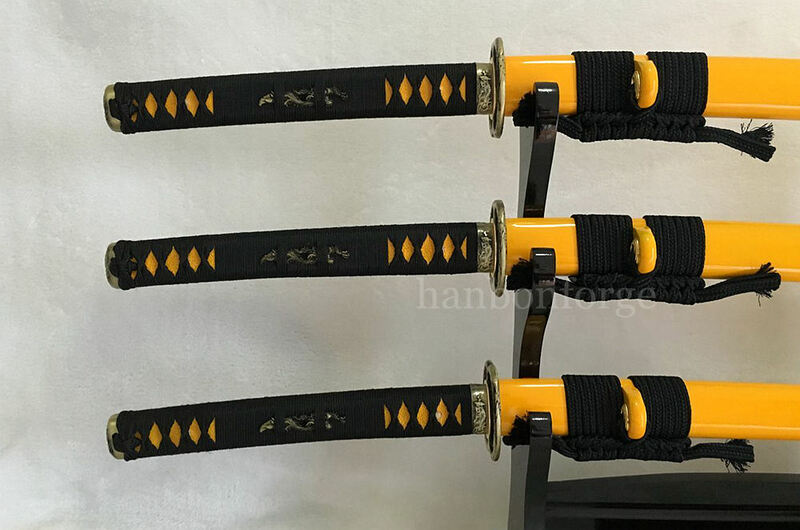 Wrapped over the wood is a yellow genuine Ray skin Samegawa with a black synthetic silk Ito wrapped over the Same. The full tang is secured by two bamboo Mekugi . Two dragon design Menuki(ornament) are on the handle. The Saya has been constructed from wood with yellow high gloss lacquer finished. The thick black synthetic silk Sage-o has been tied around the bright copper Kurigata.